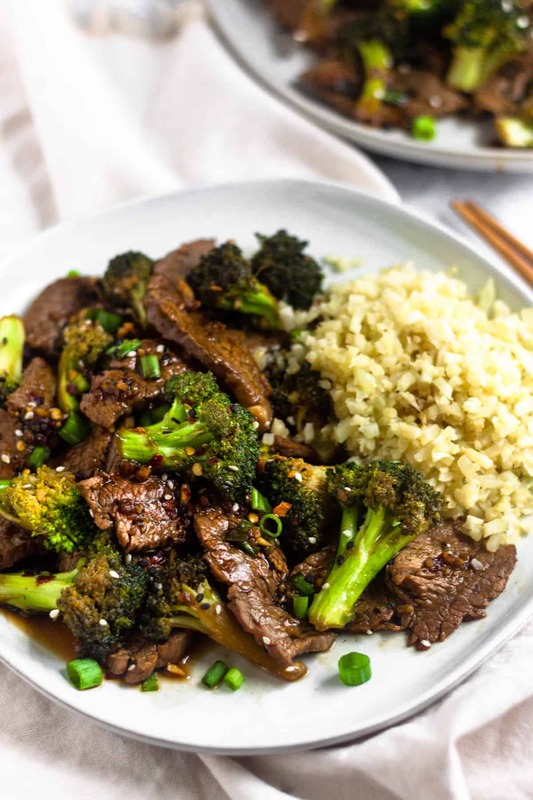 Rochester Weight Loss Specialist :: Beef & Broccoli with Cauliflower "Rice"
What does Barb Goshorn, RN MSACN, "The Nurse Nutritionist" do?? The importance of "Clean Eating"!! How does sleep affect your body? Beef & Broccoli with Cauliflower "Rice"
Cajun Jambalaya with cauliflower "rice"
Brown meat in pan with mushrooms, onion, garlic, red pepper flakes, salt and pepper. Steam broccoli and cauliflower separately. Once cauliflower is steamed, chop it up into "rice" size pieces! Add broccoli to meat, then add Bragg Liquid Aminos and ¼ cup of water. Put lid on pan to steam. When it reduces, add another ¼ cup water. Serve broccoli and meat on top of the cauliflower rice. Garnish with sesame seeds and green onions. "My Experience with Goshorn Wellness Center has been outstanding! I worked with Barb Goshorn and followed her advice for the Shape ReClaimed program. Not only did I lose weight, but I reduced my medications and my arthritis pain is minimal. I feel great!!" "HI! I'm writing on behalf of my husband Bob who I "dragged" to see Barb on the referral of a friend at work. My husband has been overweight for years with no continued success on diets. He started the shape reclaim program and has lost almost 100 pounds in 8 months - AMAZING!!!! He looks and feels so much better! He is currently off ALL medications! And the best part - he doesn't snore anymore! With Barb's help we learned how to grocery shop and read labels, how to cook and eat healthy. Barb is so enthusiastic and supportive. The entire office is very friendly and professional. Meet Barb and change your life!" "I can’t thank Barb enough for all her assistance in helping me achieve my goal weight! I never thought I would get back down to the 120”s! I had tried everything that was out there. I had a drawer full of useless weight loss products that probably sis me more harm that good, not to mention I spent a lot of money on them, all of which was a total waste! Not only is Barb a delight to talk to, I have learned so much from her as to how to eat, what to eat and when to eat. Even my husband lost 20 pounds just by following my new found healthy eating habits!